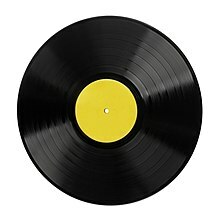 VinylHunt.com — A free directory of Record Stores in the US that offer new or used vinyl. Popsike.com — Price Guide / Database of auction prices of rare vinyl records. YouTube — Record Making With Duke Ellington (1937) A look at how early 78 RPM records were made. Vinylfanatics.com — A website devoted to vinyl records. News, reviews, forum. Kiddie Records Weekly — Recordings and case images from children's records of the 1940s and 1950s.